Inspector Subodh Kumar Singh and a 20-year-old local had died of gunshot injuries on Monday as a rampaging mob protesting alleged cow slaughter torched a police post. 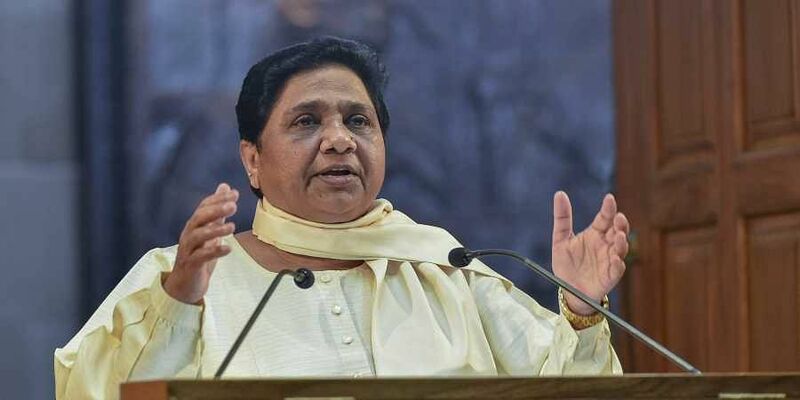 LUCKNOW: Bahujan Samaj Party (BSP) chief Mayawati on Tuesday blamed the "irresponsible and wrong" policies of the BJP government in Uttar Pradesh for the mob violence in Bulandshahr district in which a police officer was among the two persons killed. "Killing of (an) inspector and one other person in Bulandshahr violence is due to (the) irresponsible and wrong policies of the state government. Strict action should be taken against those involved in the act so that people can feel that there is a government here. Due to patronising of unscrupulous elements by (the) BJP, there is 'jungle raj' in the state," Mayawati said. Condoling the death of those who died in the violence, the Dalit leader said there was a need to establish a rule of law to prevent mob attacks. Inspector Subodh Kumar Singh, who had probed the Akhlaq lynching case initially, and a 20-year-old local had died of gunshot injuries on Monday as a rampaging mob protesting alleged cow slaughter torched a police post and clashed with the cops, according to police. On the killing of a BJP leader in Lucknow, Mayawati said the saffron party's leaders were also suffering "due to violent and aggressiveness promoted by (the) BJP".